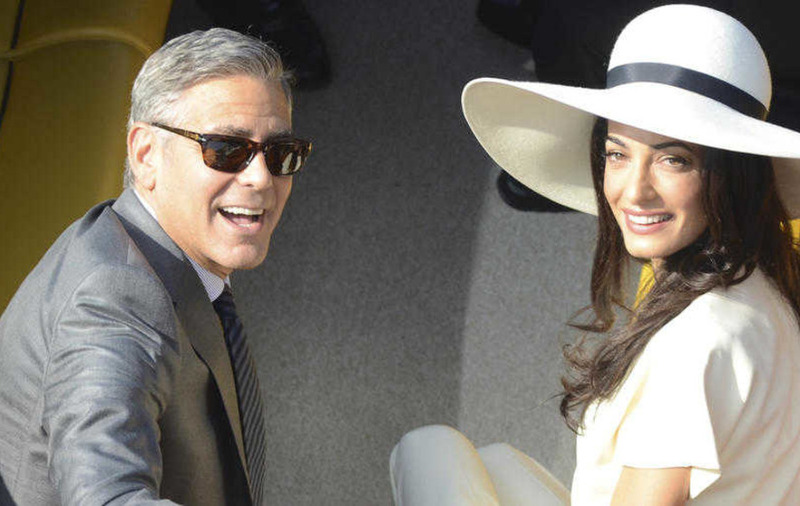 AND so to one of Sleb Safari’s favourite gentlemen, and once upon a time Lake Como neighbour, George Clooney, who has been chatting to Esquire magazine about his dear friend Bill Murray. George is very well connected and has the likes of Hillary Clinton, John Prendergast and Cindy Crawford on speed dial, just as the rest of us have our local takeaway and our mum. He also has Bill Murray’s number but it sounds as though Bill doesn’t do phones. “I text him [to see when he wants to come], and then I won't hear from him for three months. Sleb Safari spent last July holidaying at Lake Como and repeatedly made an appeal through this column for an invite to Casa Clooney for aperitifs in air conditioning. Those pleas fell on deaf ears. So much for the humanitarian work, George. Had Sleb Safari known the trick Bill Murray played it’d have watched every Bill Murray film it needed to in order to record him saying the words I. Am. Here. At. The. Front. Door and then edited them together into one sentence and rocked up to George’s front door, pressed the buzzer, pressed play on its Walkman and let that cassette do the talking. 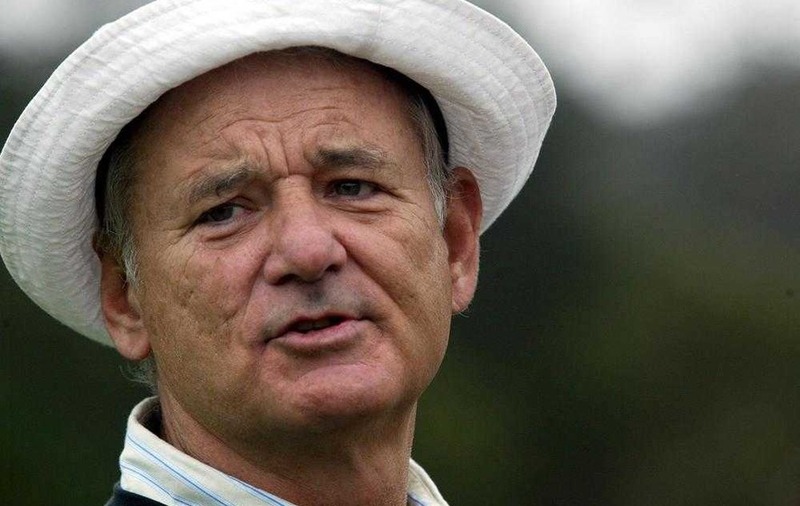 Everyone loves Bill and George offers an insight into why we should all have a Bill Murray in our lives. What a gorgeous tribute to someone. Here’s how these two crazy actor cats fell in love. A few summers ago the cast of Fantastic Mr Fox arrived at George’s Lake Como home to record but had to call a halt the following day due to an emergency and everyone went home except Bill Murray who was due to be in Venice a few days later. George says Bill asked what he should do. “I'd only known him from a few parties, but I said, ‘Well, you can stay here.’ And he did. And we would just sit and we'd watch television together, or we'd go into the gym and work out. But you could do it and not even talk for hours. Again, George, why so shy? If Sleb Safari had known you wanted someone to watch Italian TV with and look at the stars it could have facilitated that last summer. Reach out next time, Sleb Safari won’t leave it three months to respond. DANNY Dyer, geezer and author of Sleb Safari’s favourite tweet – "Can't believe it's been nearly 11 years since them slags smashed into the twin towers, it still freaks my nut out to this day" – has gotten into trouble for a cheery birthday message he recorded for Queen Liz. Danny told the queen that since she was turning 90 she should “get off her nut” and Sleb Safari is of the opinion that the queen would have welcomed such a convivial birthday greeting. Others felt it lacked respect. Sleb Safari would like to hear from the queen on the matter and awaits clarification on whether one did get off one’s nut on one’s 90th birthday. There were lols aplenty last week when Australian authorities released a video of Johnny Depp and Amber Heard apologising for having ignored quarantine laws when flying their Yorkshire Terriers into the country on a private jet. The pair went on trial and the "warm and direct" Australians decided that rather than jail them for 10 years or impose a $10,200 fine they would get them to make a formal apology on video and my oh my is it a cringefest. Johnny delivered the line “Australians are both warm, and direct. If you disrespect Australian law, they will tell you firmly” with the charisma of a dead wallaby. Suffice to say neither will pick up an award for the performance. Evicted at 14, broke by 24, but regardless of how tough things got, I always felt if I worked harder and smarter than the next guy - I'd have a real shot at life. That's who I am. My DNA and still my daily code. Thank you @TIME Magazine for selecting me as one of the 100 MOST INFLUENTIAL IN THE WORLD. I'm honored and privileged. Most importantly, THANK YOU FANS worldwide from all cultures and walks of life who join me daily to put in the hard work and grind to take care of our families, chase our greatness and always havin' some fun along the way. The best thing about making this list is tomorrow morning, I get to wake up, have my cup of unleaded, jump in my pick up truck, put in the hard work and do this dance all over again. It's what we do. Our DNA. #TIME100 *feature is in my bio.